Having rented for a while I know what it’s like to not be able to have a pet. Whilst they may not be the real thing, the range of Little Live Pets from Moose Toys seem to be getting better and better and closer to the real thing. 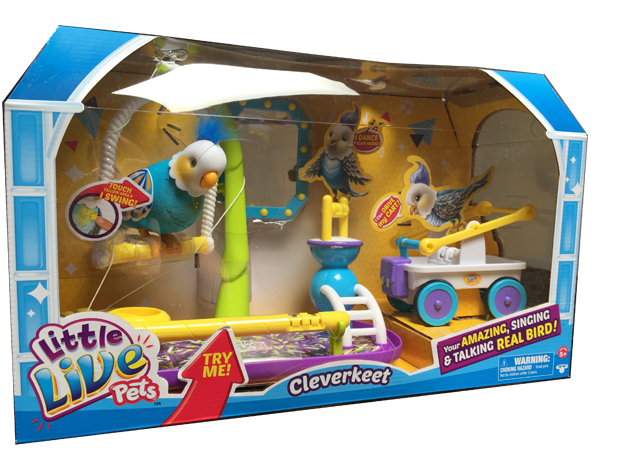 One of the newest additions to the Little Live Pets family is Cleverkeet. Cleverkeet is an interactive robo-pet that will do most things real bird will do (except poop, fly and of course die!). 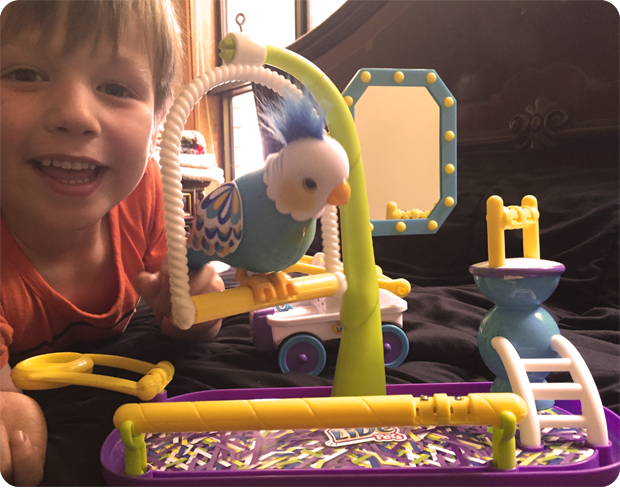 Cleverkeet comes with a playground and a cart. The playground has a swing, perch with mirror, feeding area and a removable stick. Cleverkeet will perform different functions depending on where he is placed within the playground. When he is on the swing he can swing by himself, when he is on the perch he will dance and as you probably guessed he will eat from the feeding area. You can place him on the stick and carry him around or put him in the cart where he can self propel. 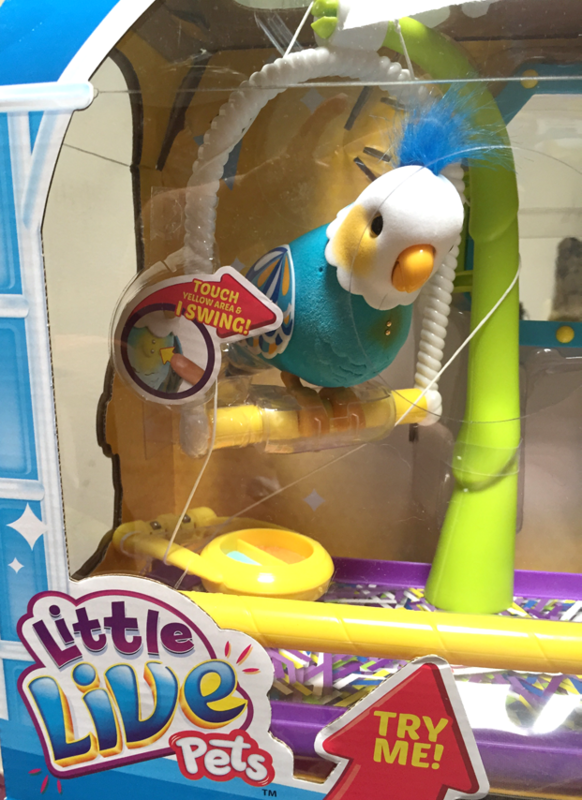 Once you open up Cleverkeet – and I have to say packaging gets more and more difficult to undo with toys – you can give him/her a name which they remember and respond to. We called ours CuCu (pron.coo-coo). The best feature of this toy, and by that I’m talking about what my kids found the best, is that it will repeat what you say in a distorted voice (kind of like helium balloon voice). You can also ask it yes/no questions, it will dance to music and do crazy mash-up chats of things you’ve said to it. it has an off button! it’s packaged like fort knocks! Cleverkeet is available in blue or pink and is in stores now. RRP$79.95 but I have seen it in Kmart for $69.95 so shop around.